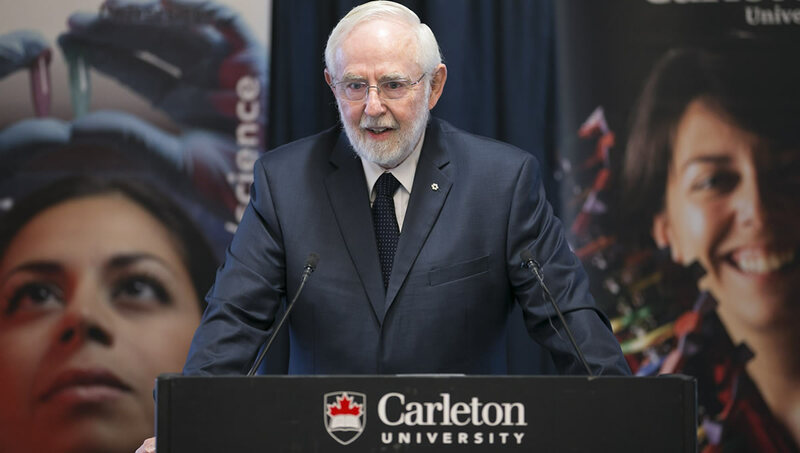 When Arthur B. McDonald was named co-winner of the 2015 Nobel Prize in Physics last week, the Queen’s University professor emeritus was quick to say that he shares the award with many colleagues, including Carleton University researchers. In its Nobel announcement, the Academy cited McDonald’s collaboration at SNO and co-winner Takaaki Kajita’s collaboration in Japan — a rare acknowledgement that has only happened one other time since 1980, British physicist Jon Butterworth noted in The Guardian. 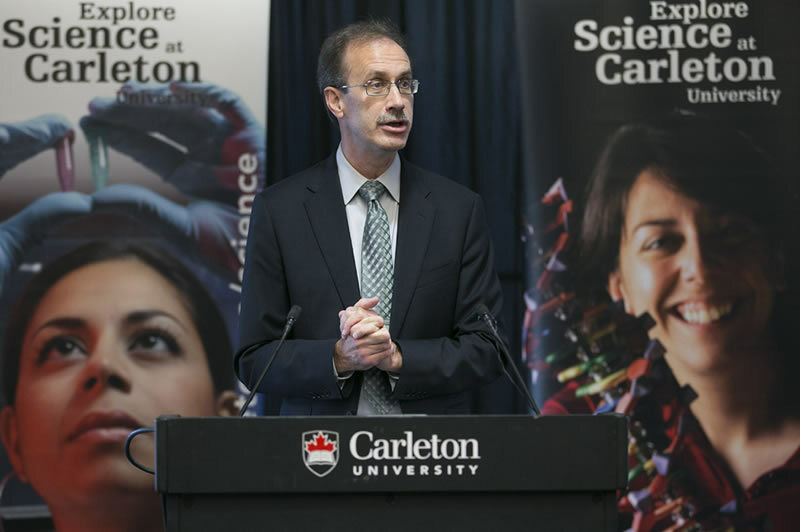 Dr. McDonald was greeted at Carleton by a room packed with celebratory researchers, students, staff and officials from top national funding agencies. “I just want you to understand,’’ he told them, “this project was done by a tremendous number of people”. 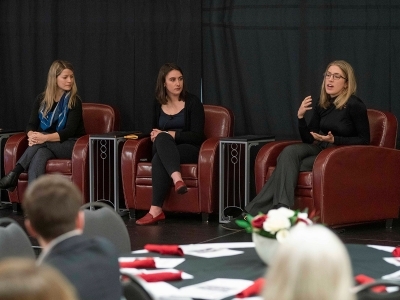 “It is a real pleasure for me to be able to come to do this,’’ said Dr. McDonald, who also thanked the spouses and families of researchers for their stalwart support. 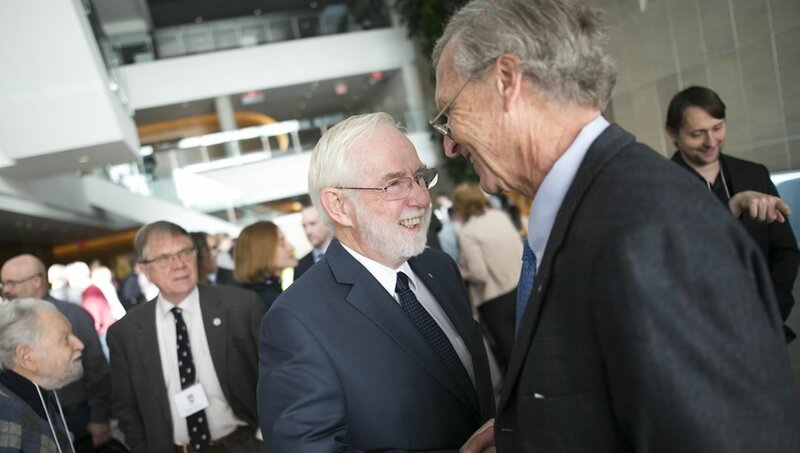 Aided by screens showing old photos and diagrams of SNO, Dr. McDonald told the story of the lab’s early beginnings, cited many of Carleton’s contributions and talked about his then-deputy, David Sinclair, who went on found SNOLAB. 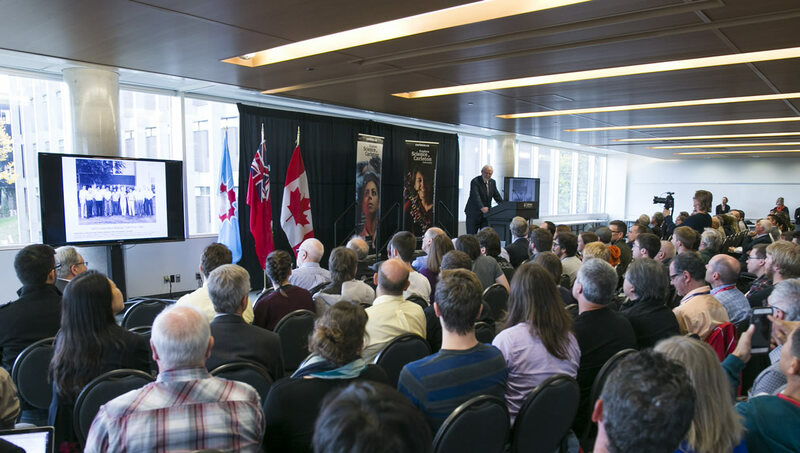 Nimal Rajapakse, Carleton’s vice-president (Research and International) noted that there is more work to be done “that will push the frontiers of science and physics further’’ and thanked Canada’s funding agencies for their support. Among those who attended the event were Gilles Patry, president of the Canadian Foundation for Innovation; Dan Wayner, vice-president of emerging technologies at the National Research Council; Pierre Charest, vice-president of research grants and scholarships at the Natural Sciences and Engineering Research Council; Ken Edgecombe, chief technology officer at the High Performance Computer Virtual Laboratory; and Mark Wolff, chief technology officer at CANARIE. More than 30 people watched the live-streamed event from across North America, Israel and Cuba. McDonald’s research group at SNO, two kilometres underground in a mine in Sudbury, Ont., demonstrated that neutrinos — elusive elementary particles produced by radioactive decay — do not disappear when travelling from the sun toward the Earth but instead change identity. For this to occur, neutrinos must have some mass, however small. The SNO experiment, which ran from 1999 to 2006, brought together about 150 scientists at any given time. Data analysis that led to the first SNO paper confirming neutrinos have mass was conducted at the High Performance Computing Virtual Laboratory, a cluster of fast and powerful computers at seven Ontario universities and colleges, including Carleton. 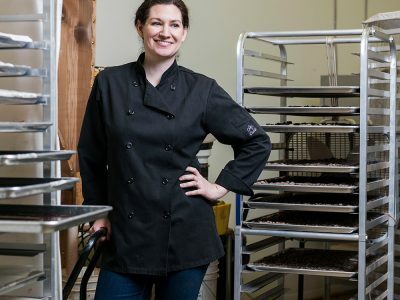 Researchers are still interpreting results from SNO, but the experiment has also been expanded into the Canada Foundation for Innovation-funded SNOLAB, which opened in 2011. Like SNO, the 10-storey-high particle detector is located deep inside the Earth to avoid cosmic rays from space and the natural radioactivity that could affect the sensitive measurements required for experiments. Sinclair and late Carleton physicist Cliff Hargrove secured the use of $300 million worth of heavy water from Atomic Energy of Canada Ltd., which was crucial to the research at SNO. 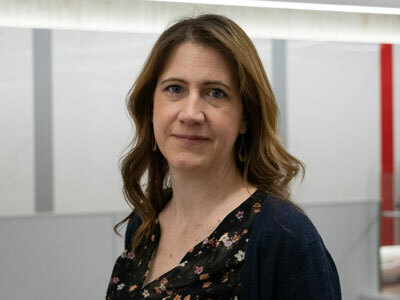 Their work helped attract other faculty to Carleton, among them Alain Bellerive, a lead collaborator on Canada’s research and development efforts for the ATLAS particle accelerator in Switzerland. Now a new generation of physicists at Carleton, including Mark Boulay, Kevin Graham, Thomas Koffas and Razvan Gornea, are working on experiments at SNOLAB, such as the Dark Matter Experiment with Argon Pulse-shape Discrimination (DEAP) project, which will use a detector filled with liquid argon to gain a better understanding of dark matter, a hypothetical form of matter that may account for most of the matter in the universe.